The USA Percussion Ensemble is dedicated to performing historical and contemporary works for percussion. Based in Mobile, Alabama, the ensemble regularly performs at the university as well as in the community at art functions, youth outreach at local middle schools and high schools, as well as national and international conventions. 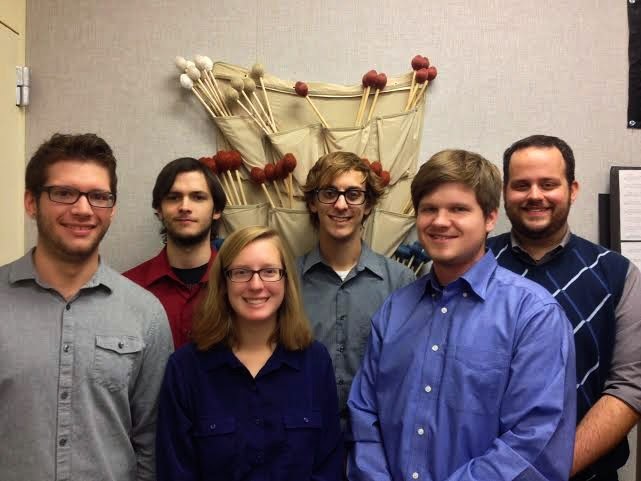 The USAPE recently competed and performed at the 2014 Percussive Arts Society International Conference in Indianapolis placing 2nd at the inaugural Concert Chamber Percussion Ensemble Competition, and has performed multiple times at the Alabama Days of Percussion held in different cities in the state. Upcoming performances will include the Collide Contemporary Music Festival at the University of Central Florida in Orlando celebrating the percussion music of Adam Silverman, as well as run-out concerts in Mississippi and Florida throughout the spring months.